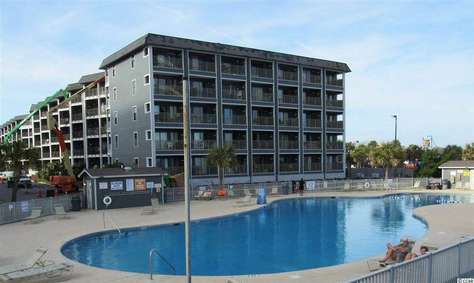 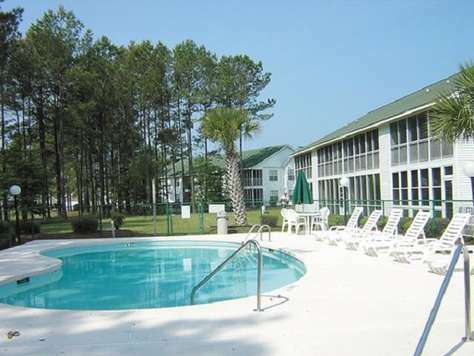 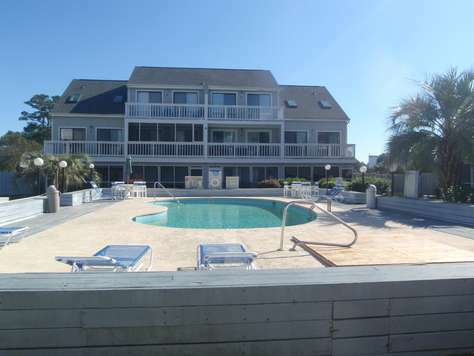 Book Ocean Dunes Villas II 5610 for your beach vacation getaway to Myrtle Beach. 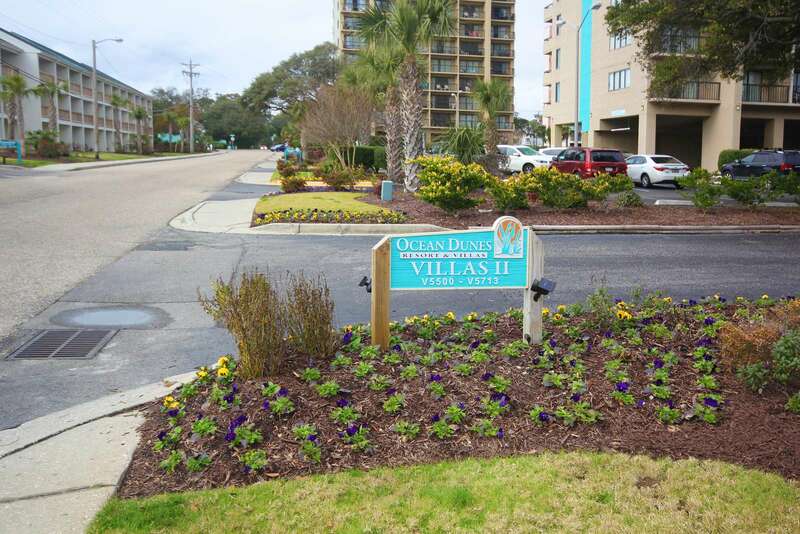 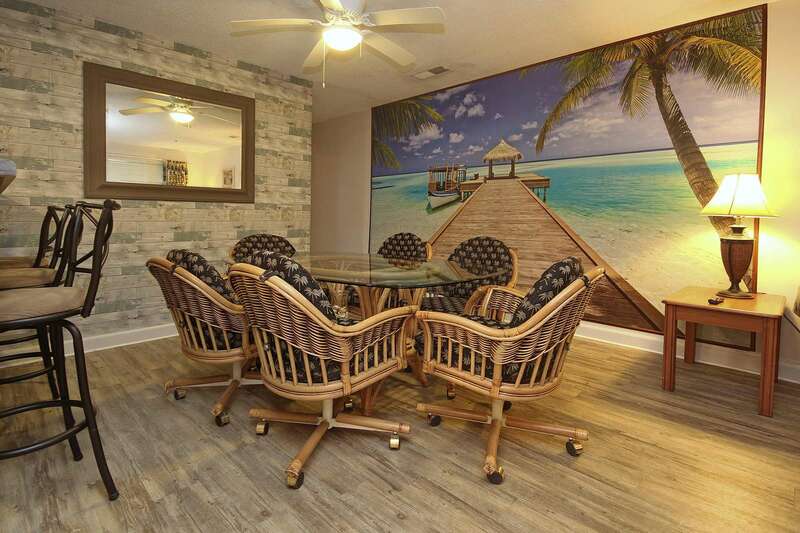 If location is everything then Ocean Dunes Villas II 5610 is the place to be since this rental condo is located across the street from an undeveloped beachfront. 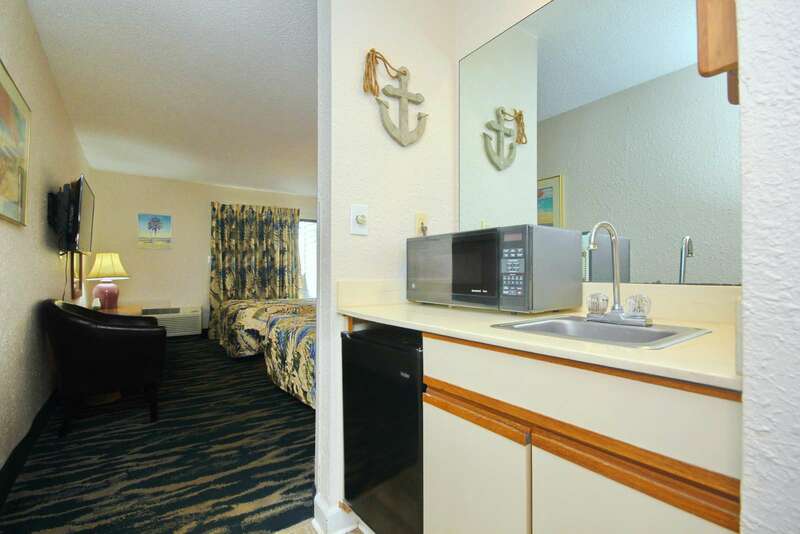 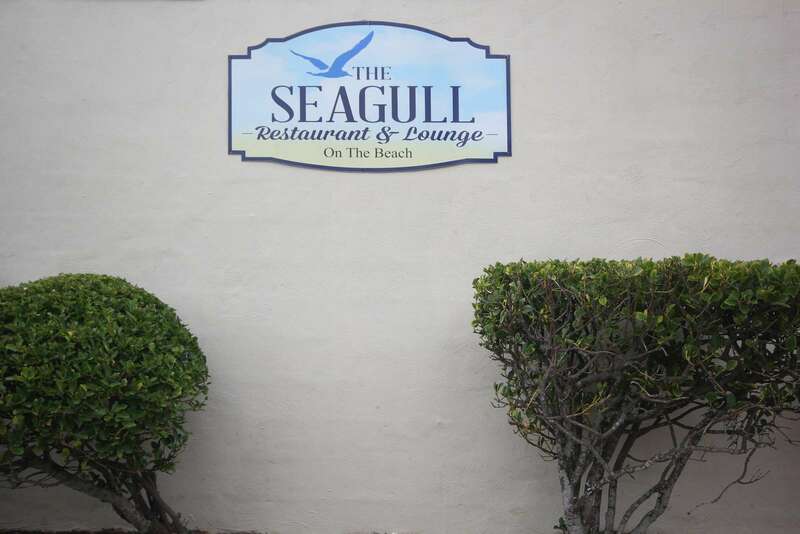 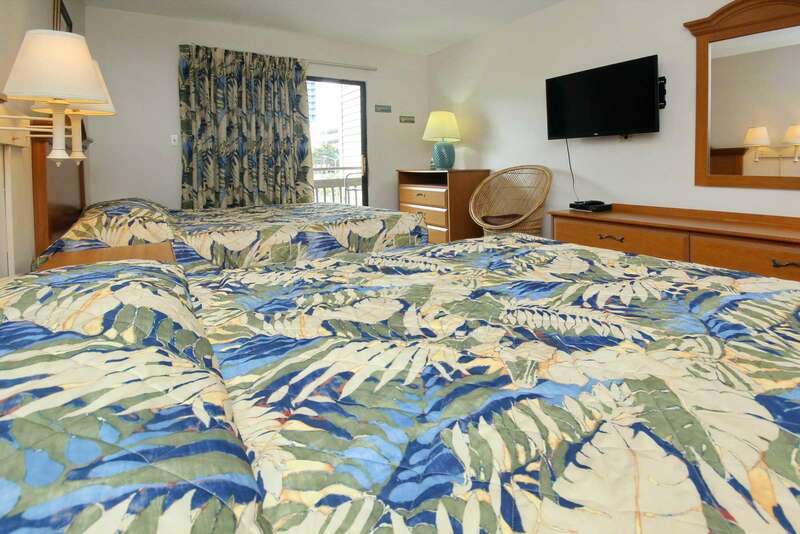 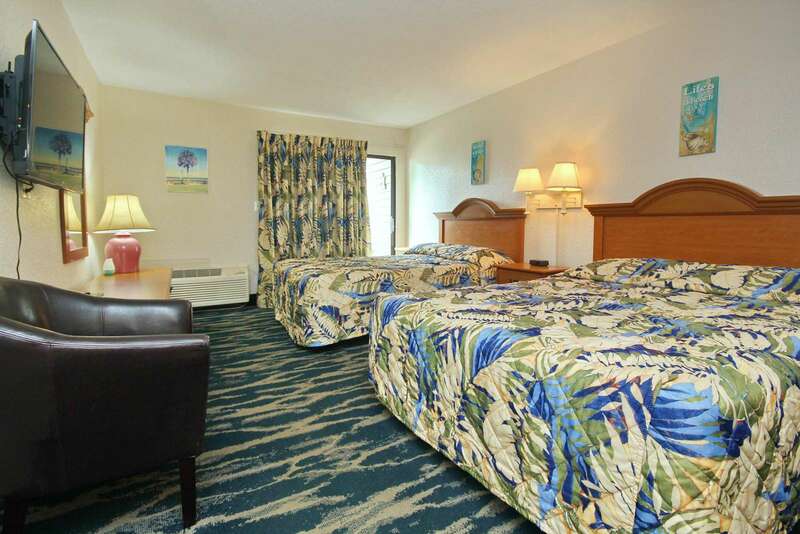 You will have convenient access to the beach and all the activities that accompany it. 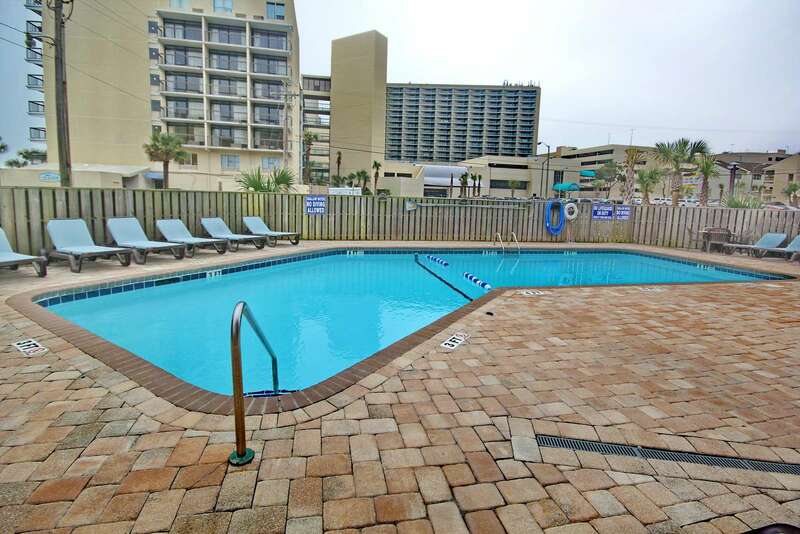 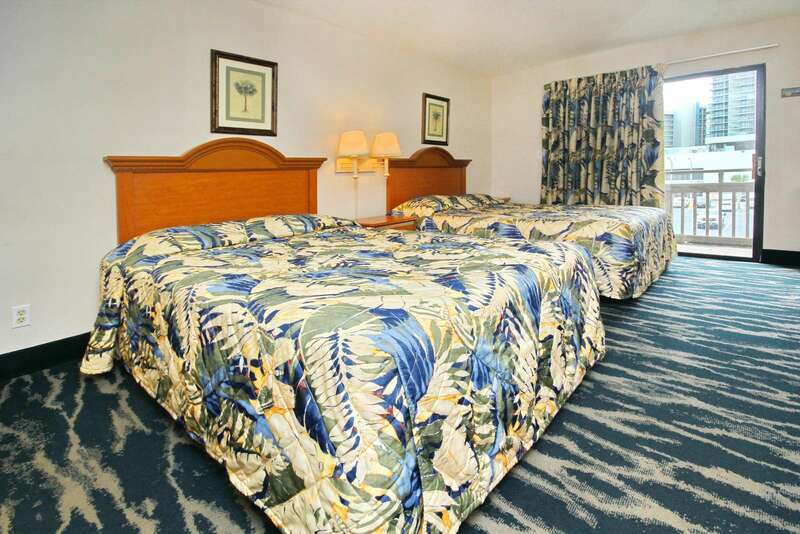 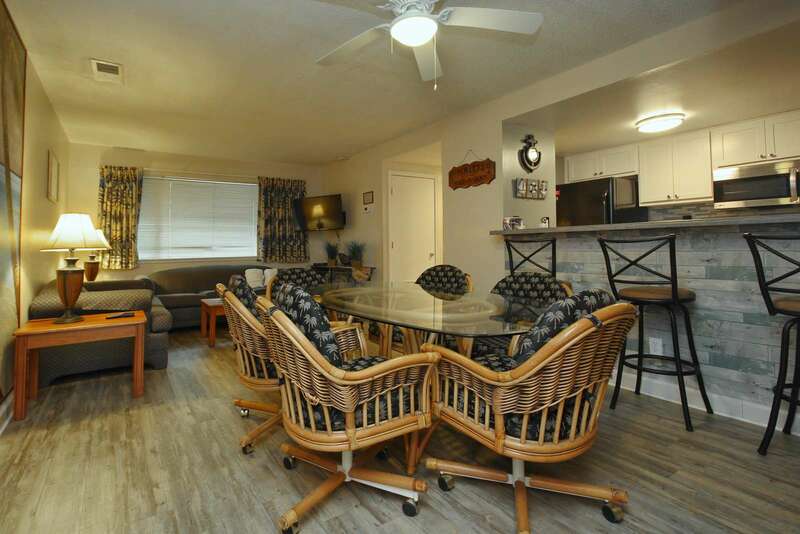 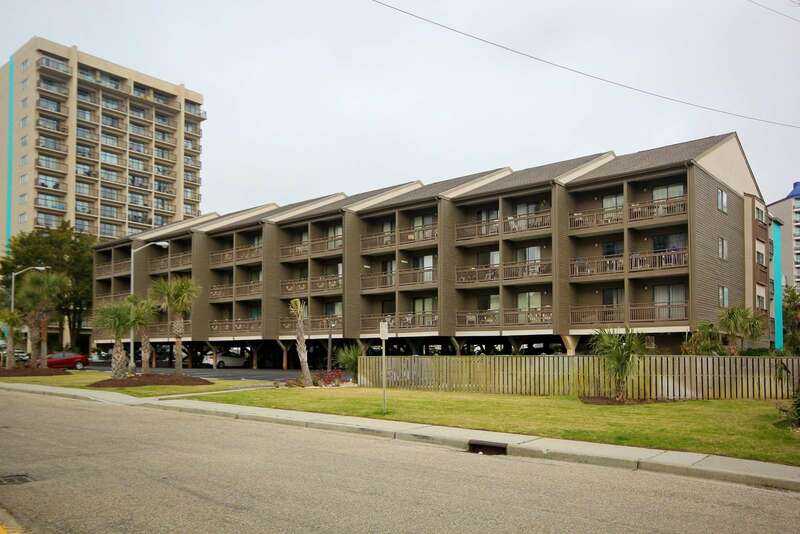 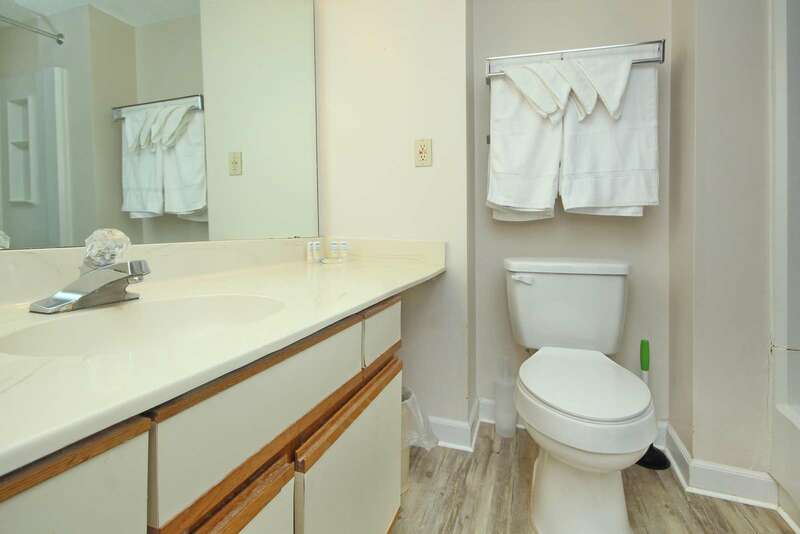 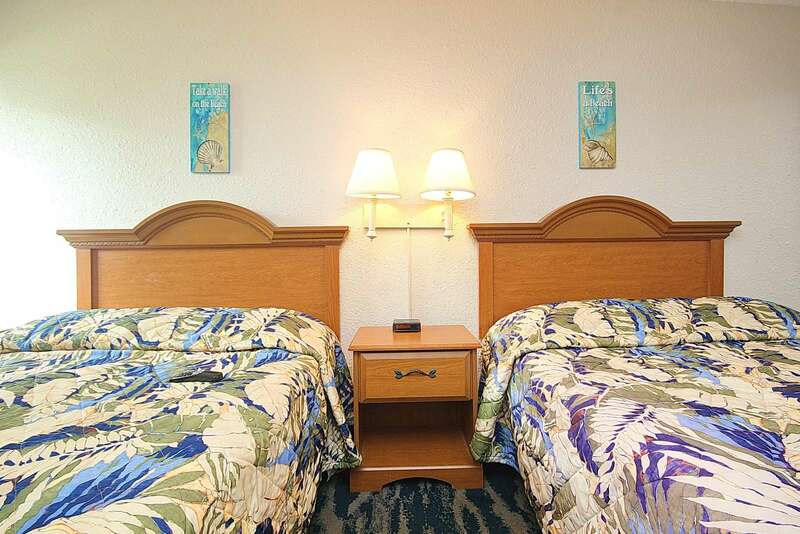 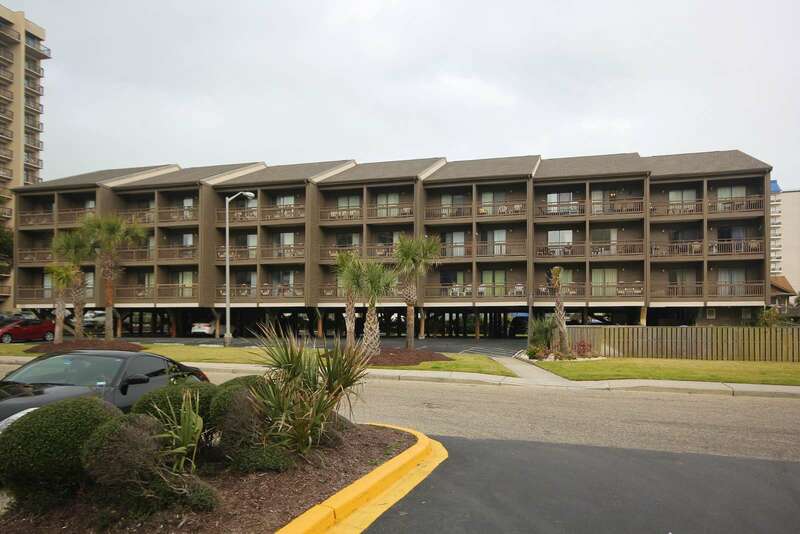 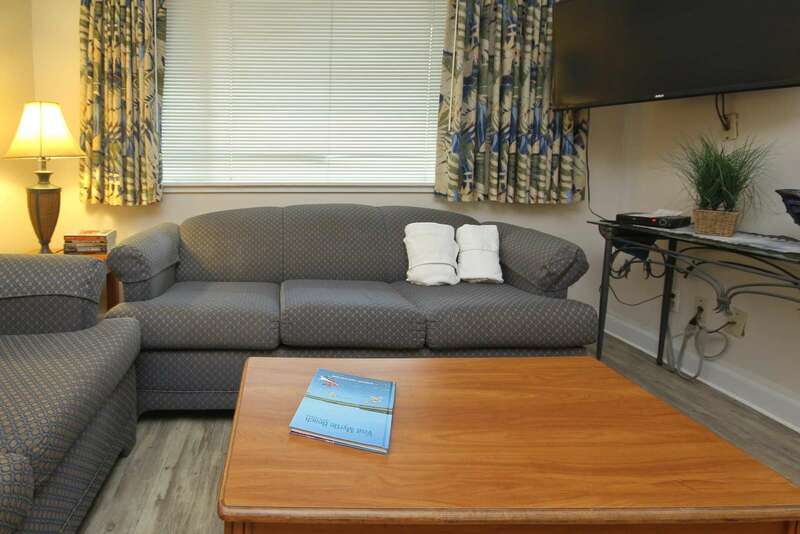 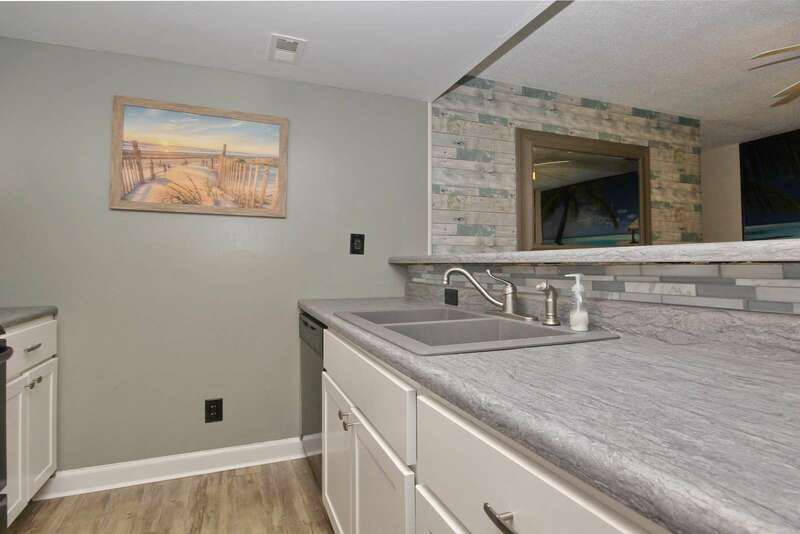 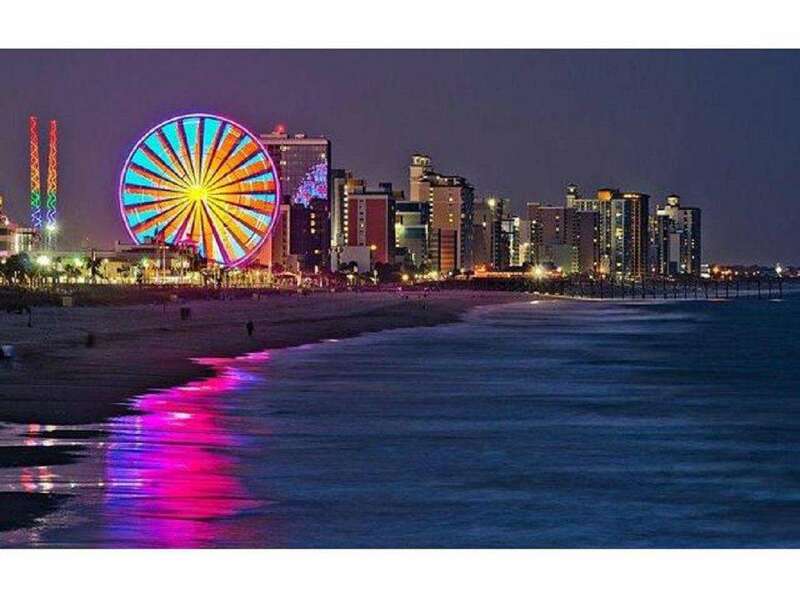 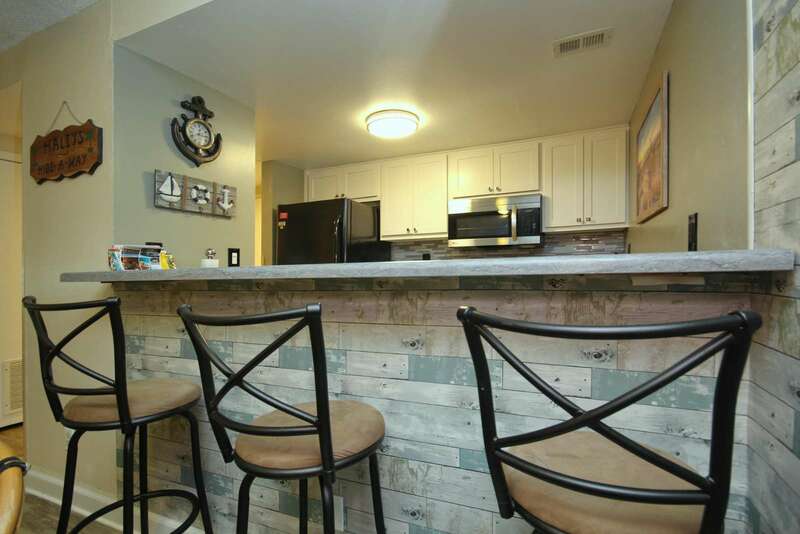 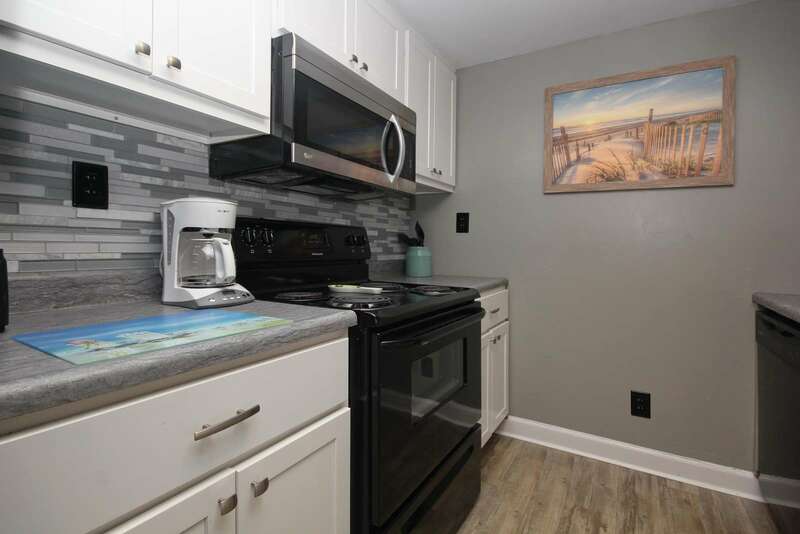 Located in the northern avenues of Myrtle Beach, South Carolina, and coming equipped with everything you would need for a fantastic vacation to the Grand Strand, Ocean Dunes Villas II 5610 will be a splendid place to rest your weary head after your busy vacation days. 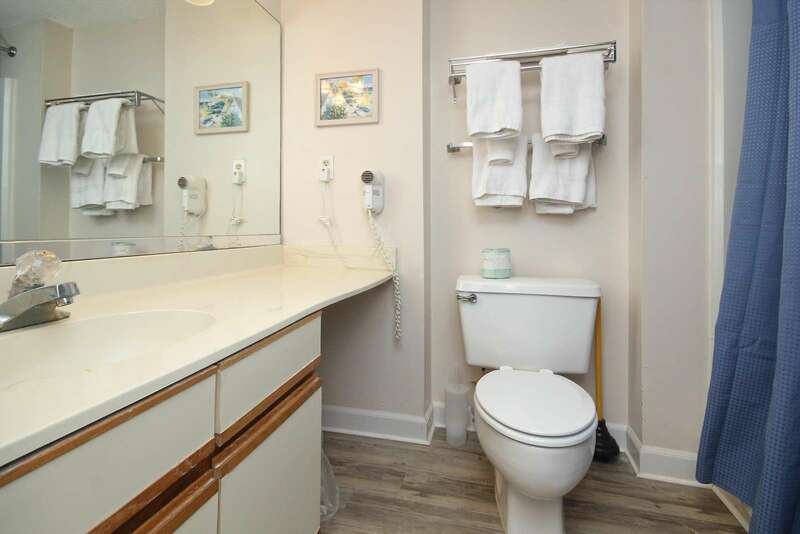 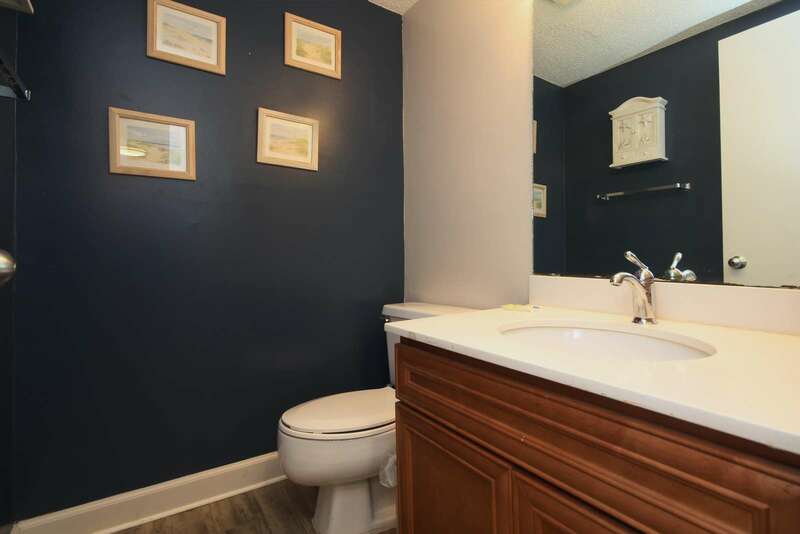 Nicely equipped with two bedrooms, two-and-one-half bathrooms and sleeping arrangements for up to 10 guests, this rental condo is sufficiently sized to house a family or small group. 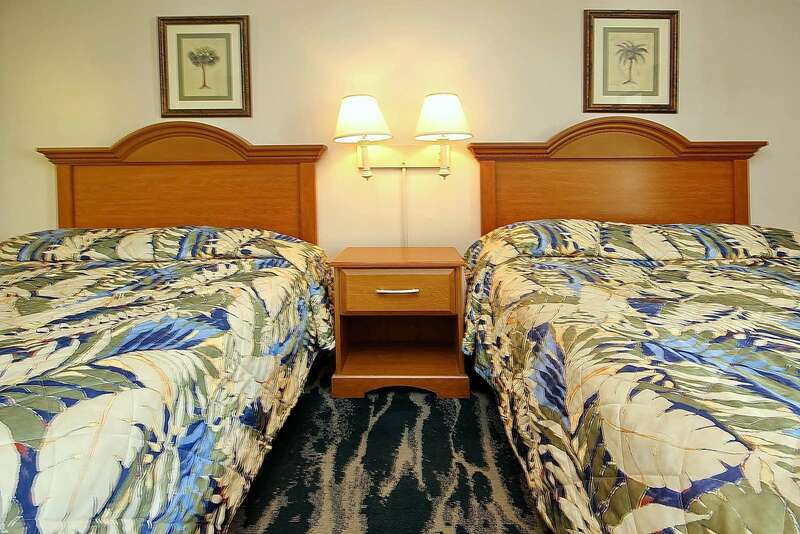 Three flat screen TVs and wireless Internet access availability all ensure plenty of entertainment options for your group. 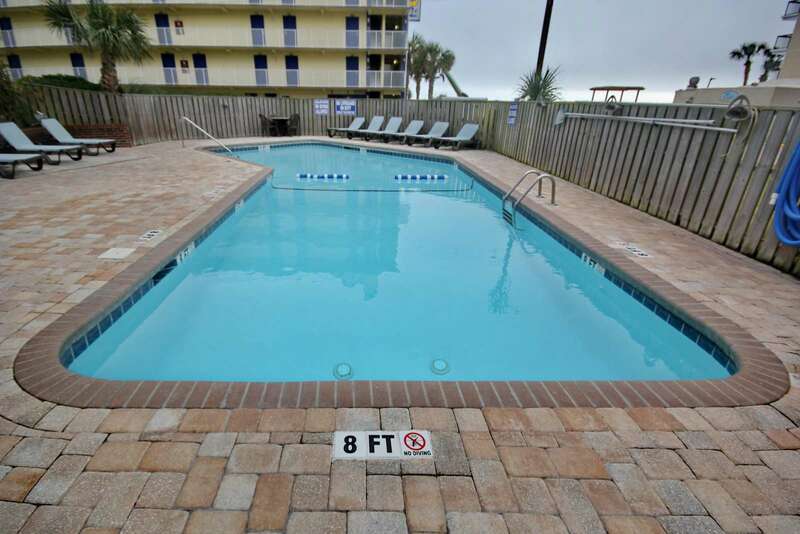 South Carolina summers can be squelching at times but you will stay cool and comfortable in Ocean Dunes Villas II 5610 since it comes equipped with central air conditioning and a swimming pool. 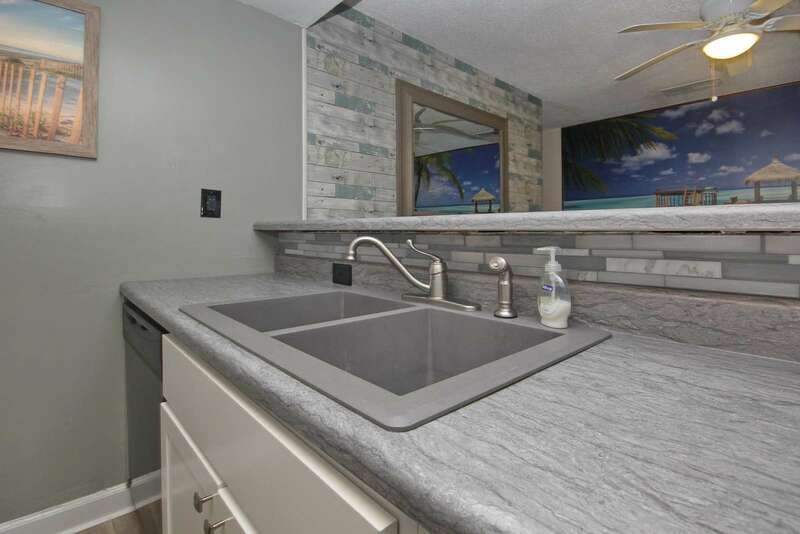 An outside shower at Ocean Dunes Villas II is available so you can rinse off after your sandy beach activities. 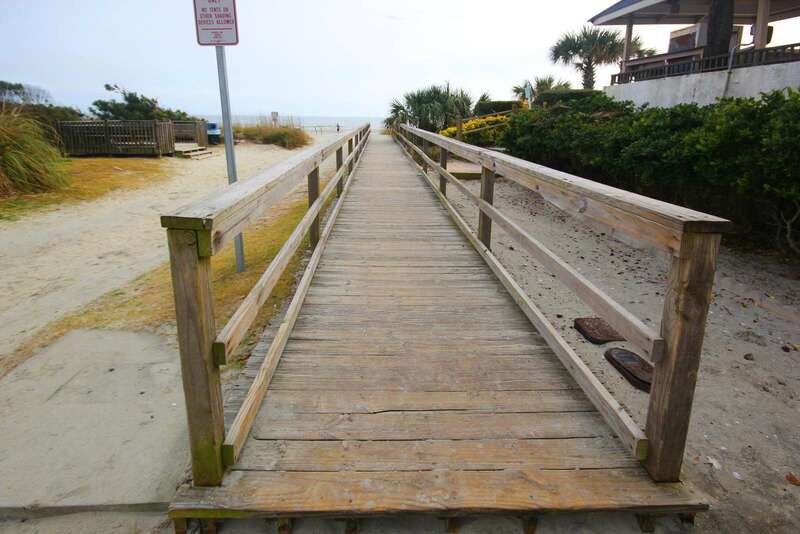 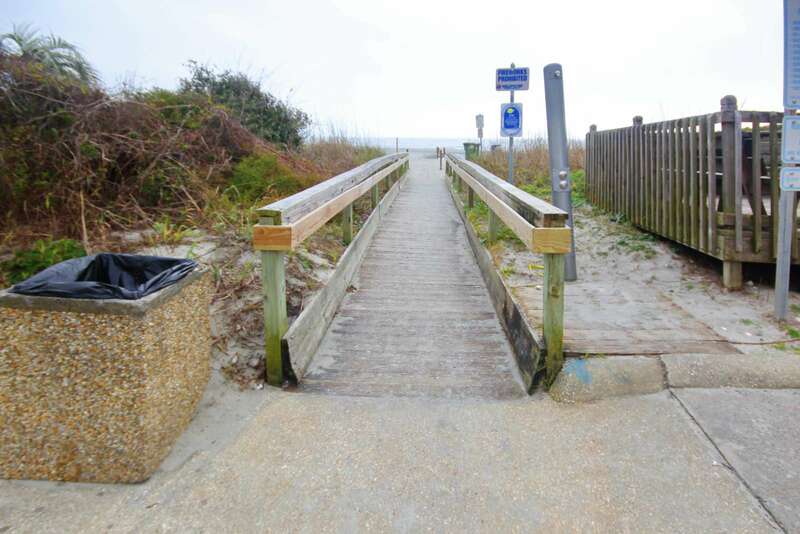 The oceanfront workout trail just might entice you and the oceanfront playground will definitely appeal to little ones. 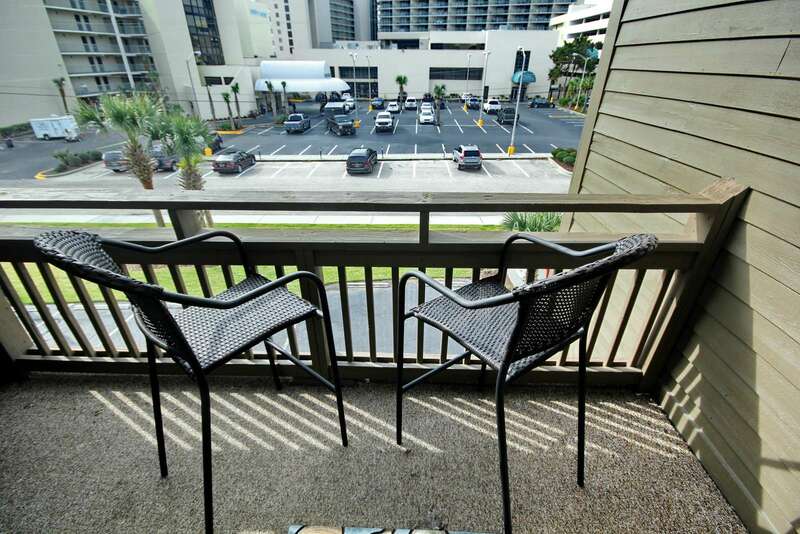 If you would find yourself itching to spend some time in the South Carolina sunshine but needing to cook up some dinner you could certainly couple the two and dine al fresco on the oceanfront balcony that is available for your use while staying at Ocean Dunes Villas II 5610. 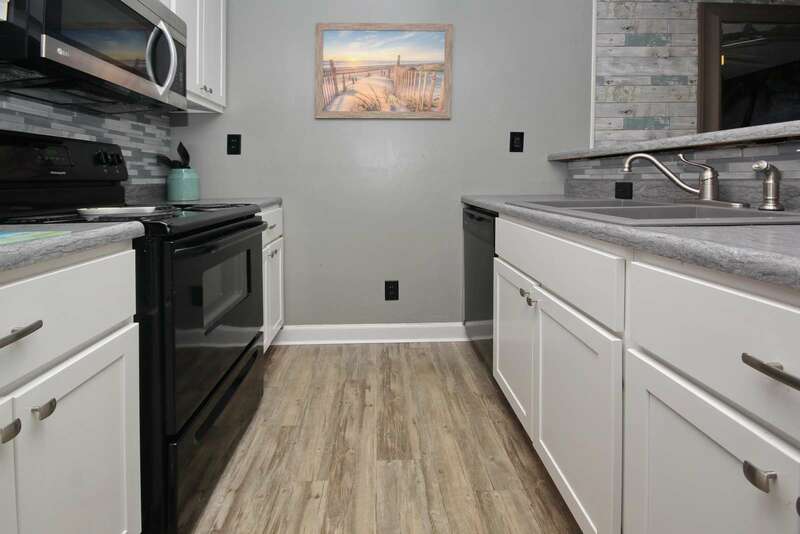 Appliances were new in 2016. 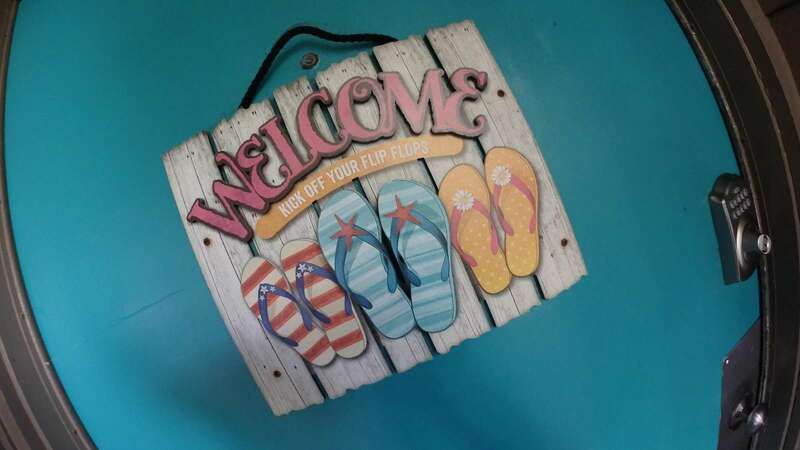 Pack a beach bag and head to the shore that is nearly at your door. 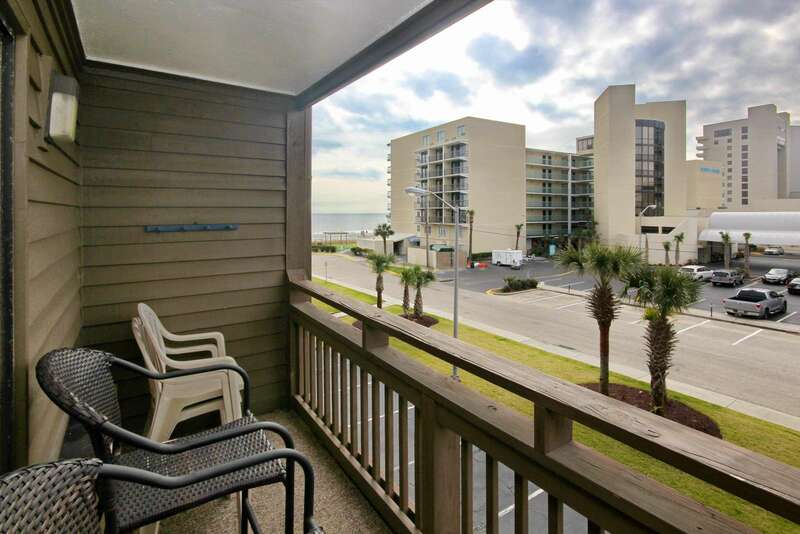 Oceanfront festivities are so close you can enjoy them all hours of the day and at your whim. 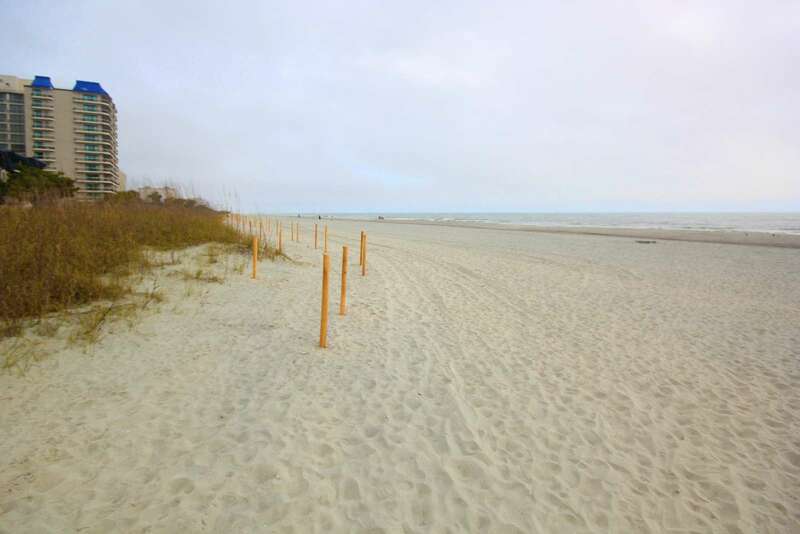 Grab your morning cup of coffee and stroll leisurely along the shore to view the breathtaking sunrises while the sun wakes our side of the planet or take a jog along the beach as sunset paints the eastern sky. 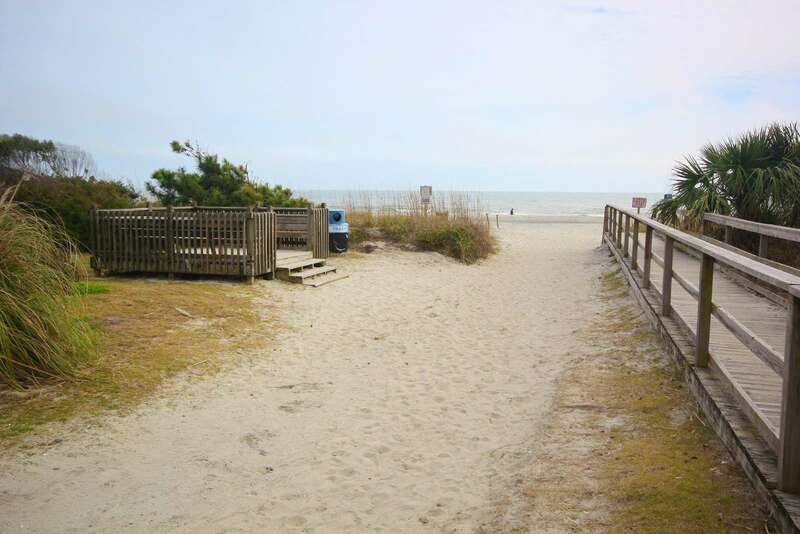 Dodge the waves at high tide or search for sea critters left behind at low tide. 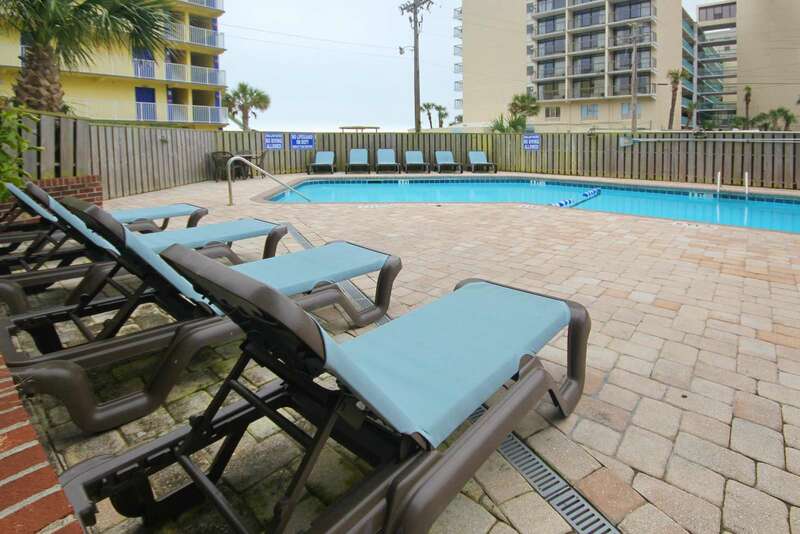 Myrtle Beach vacation options are nearly endless when you book Ocean Dunes Villas II 5610 for your stay in sunny South Carolina. 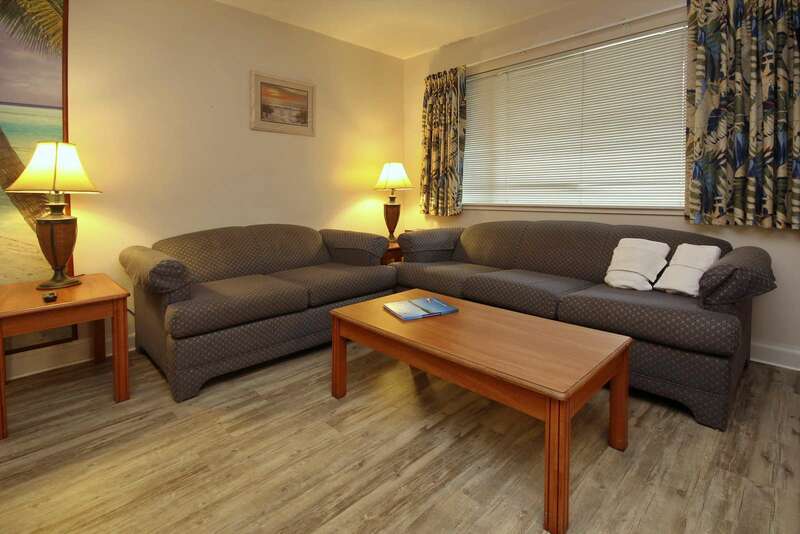 This property has 4 Queen(s), 1 Pull Out Sofa(s).